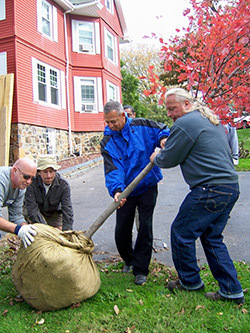 Launched in 2005 to reverse urban deforestation in Hartford, KNOX’s Trees for Hartford Neighborhoods (TFHN) engages residents and volunteers in tree plantings city block by city block. TFHN provides environmental, economic, and health benefits to the Hartford community while increasing the public’s knowledge and appreciation of trees. 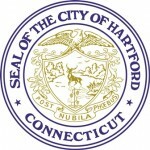 Restore the tree canopy and protect Hartford’s urban forest. Strengthen and enhance communities through the strategic planting of trees. Foster environmental stewardship in Hartford’s neighborhoods. In 2005, community organizations, residents, volunteers, KNOX staff and the city forester formed an advisory committee to guide TFHN program start up and select planting sites. TFHN was promoted through partners Neighborhoods of Hartford, Inc. and Hartford 2000, initially targeting five neighborhoods that were included in the Mayor’s Homeownership Initiative to increase owner occupancy of homes in the city through neighborhood improvements. City residents were recruited to carry out concentrated tree plantings of 15 to 20 trees in one or more city blocks. The intent was reforesting neighborhoods, involving residents, homeowners and tenants directly in the plantings, and fostering their stewardship of the urban forest through volunteer tree maintenance. Now a citywide initiative, TFHN plants throughout Hartford. TFHN has engaged hundreds of neighborhood volunteers since March 2004. To date, we’ve planted 5,000 trees in Hartford’s neighborhoods, parks and school grounds. KNOX reached a significant milestone when TFHN volunteers and KNOX’s Tree Crew planted 1,000 trees in 2012 through a grant from the City of Hartford. In 2016, KNOX and the City of Hartford began a request process where Hartford residents are encourage to reach out to KNOX if they would like a free tree planted at their home. An online form is located at the bottom of this web page to request a free tree. On Earth Day in 2006, 30 neighbors and friends on Kenyon Street planted over 25 trees. Participation in the event spawned a community effort that eventually led to a website on the Kenyon Street neighborhood. Fostering community spirit is just one of the many benefits of TFHN. For more information, contact Kimberly Beal, Community Engagement Manager. TFHN currently has a waitlist and is not accepting requests at this time.